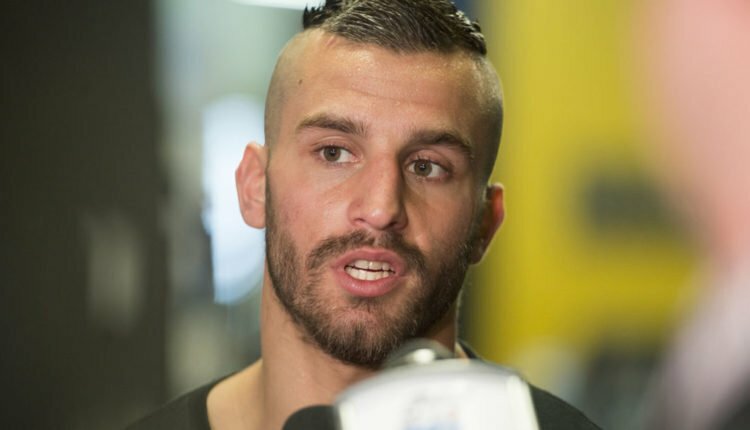 While David Lemieux wanted to be next to face Canelo Alvarez, the Canadian boxer is close to once again being on the undercard of an Alvarez fight, as he looks to face Tureano Johnson on December 15th. Per TVA Sports Lemieux, who last appeared in the ring with a stunning first round knockout of Gary “Spike” O’Sullivan, is near a deal to being on the card for Alvarez’ move to super middleweight at Madison Square Garden. Lemieux was the front-runner to face Alvarez following the Mexican superstar’s win over Gennady Golovkin in September, but Alvarez has opted to move up in weight for his debut at DAZN and Madison Square Garden. A win against Johnson could keep the former middleweight champion’s momentum going as he aims for a 2019 faceoff with Alvarez.